Administering the King-Devick (K-D) Test to professional hockey players accurately detected concussions at rinkside, says a new study (1), which suggests that including the measure of fast eye movement along with neurocognitive and balance testing (for non-ice hockey sports) as part of a battery of rapid concussion screening tools, is likely to improve assessment of athletes for suspected concussion on the sports sideline. No single test currently exists which is capable of screening athletes on the sports sideline for all the different ways concussion can present, which has led an increasing number of concussion experts (12) to call for the use of more than one assessment tool, including K-D. The K-D measures the time it takes for an athlete to read a series of single digit numbers displayed on index-sized cards. Previous studies of boxers and mixed martial arts (MMA) fighters (2), collegiate athletes in contact sports (3), and in a New Zealand rugby league (4,5) found that an increase (worsening) in the time needed to complete the one-minute K-D was predictive of concussion. While K-D detects fast eye (i.e. saccadic) movements, it also captures language and concentration, all of which have been shown to be impaired as a result of concussion. Another commonly used tool, the SCAT2 (now SCAT3, includes a concussion symptom checklist, a test of balance (which is often, but not always, affected by concussion), and neurocognitive function (concentration, immediate and delayed memory) included in the Standardized Assessment of Concussion (SAC), but does not test fast eye movements, and can sometimes take up to 20 minutes to administer. To determine whether a test of saccadic eye movements such as K-D could compliment tests of cognition, such as the SAC component of the SCAT2/3, researchers from the Children's Hospital of Philadelphia (CHOP) and the University of Pennsylvania Perelman School of Medicine administered K-D and the SAC as baseline tests to 27 members of the Flyers' team during the 2011-2012 pre-season and at rinkside to two athletes with suspected concussion. They found that lower (worse) scores for the SCAT2 SAC test of immediate memory and a lower overall SAC score were associated with greater (worse) times required to complete the K-D test at baseline. The study's authors speculated that the association likely reflects the fact that both working memory and saccadic eye movements share closely related anatomical brain structures. Additionally, in two players who were tested at rinkside immediately following concussion, K-D test scores worsened from baseline by 4.2 and 6.4 seconds. Interestingly, they did not have lower scores on the SAC component the SCAT2, but did report symptoms of concussion and exhibited signs consistent with concussion on physical examination. This suggests that, not only could including K-D as a sideline screen add complementary data to the SCAT2 evaluation of acute concussion in a time efficient manner, but given the documented resistance or complete unwillingness of many athletes - even those with detailed understanding of the signs and symptoms of and risks associated with concussion (6,7) - to honestly self-report their symptoms to sideline personnel (7,8,9), and the difficulty even trained sideline personnel experience in spotting the often, sometimes even undetectable, signs of concussion (9,10), the ability of K-D, as shown in the New Zealand rugby studies (4,5), to detect unrecognized concussions, may make it especially valuable as a sideline, or even post-game, concussion screening tool, allowing removal from play of athletes and referral for a more complete assessment away from the sport sideline of athletes who, if allowed to continue play, run the risk of further injury to their brain, which studies suggests, lengthens and complicates recovery, and, worse, increases the chance of permanent brain injury or, in rare cases, death from a form of diffuse cerebral swelling dubbed Second Impact Syndrome. In a conversation with MomsTEAM CEO Brooke de Lench, Cindy Parlow, former US Olympic Women's Soccer player and current coach of the Portland Thorns Football Club, a new franchise in the new National Women's Soccer League, and spokesperson for the King Devick test, said she feels the King-Devick test would have helped identify many of the concussions she received while playing soccer. She plans on utilizing the K-D test as a sideline test for her team when they begin play this spring. While more extensive testing can capture post-concussion syndrome symptoms and deficits, these tests may be influenced by other factors such as intellectual ability or depression. The King-Devick Test has the benefit of providing objective baseline and post-injury data for rapid comparison. This may help athletic trainers and coaches determine whether players should be removed from games. Note: the study was funded in part by a grant from the National Eye Institute. No funding came from King-Devick. 1. Galetta M, et al. Saccades and memory: Baseline associations of the King-Devick and SCAT2 SAC tests in professional ice hockey players. J Neurol Sci 2013;http://dx.doi.org/10.1016/j.jns.2013.02.008. 2. Galetta KM, Barret J, Allen M, et. al. The King-Devick test as a determinant of head trauma and concussion in boxers and MMA fighters. Neurology 2011;76:1456-1462. 3. Galetta K, et al. The King-Devick test and sports-related concussion: Study of a rapid visual screening tool in a collegiate cohort. J Neurol Sci 2011;309(1):34-39. 4. King D, Clark T, Gissane C. Use of a rapid visual screening tool for the assessment of concussion in amateur rugby league: A pilot study. J Neurol Sci 2012;320(1-2):16-21. 8. "Concussion Confidential" ESPN The Magazine (http://sports.espn.go.com/espn/news/story?id=5925876)(accessed December 21, 2010). 9. Echlin P, Tator C, et al. 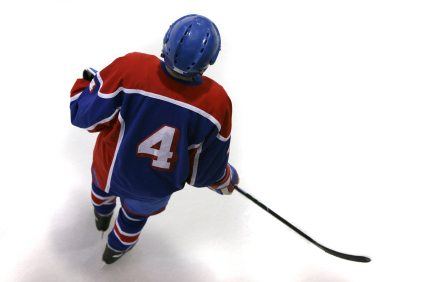 A prospective study of physician-observed concussions during junior ice hockey: implications for incidence rates. Neurosurg Focus 2010;29(5):E4. 12. Cantu R and Hyman M. Concussions and Our Kids (Houghton Mifflin Harcourt 2012), p. 63.